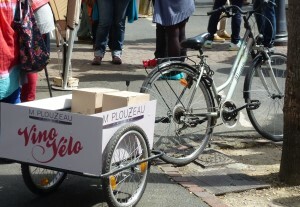 Famous for Chinon wine. 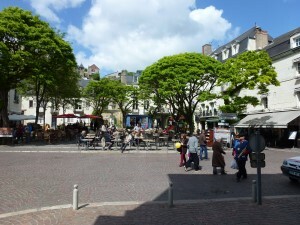 Chinon (37 Indre-et-Loire, Centre-Val-de-Loire) is in the heart of the Val de Loire area and of the Regional Natural Park Loire – Anjou – Touraine. 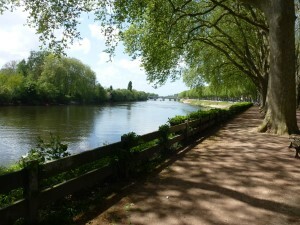 Chinon lies between two rivers, the royal Loire and the majestic Vienne. The surrounding, countryside, particularly the lower valley of the Vienne and the area between the Vienne and the Loire, known as the Véron, delights visitors with its lovely scenery and many interesting architectural features. Not to be forgotten of course is the local beverage, Chinon‘s noble wine, already celebrated in the writings of François Rabelais, one of Chinon’s most famous sons. 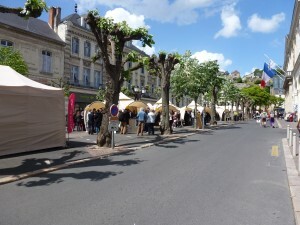 A wine fair is to be held in Chinon (les vignerons dans la ville) on 27 April 2019, when you can have the chance to taste the wines of the region – see www.chinon.com/. Chinon has an impressive chateau which dominates the town, and beneath the chateau lie the cellars of Couly-Dutheil, one of the most important Chinon producers. 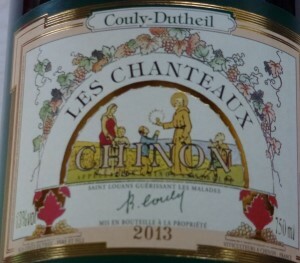 Although best known for Cabernet Franc reds, the Chenin whites can be delightful – particularly memorable was a bottle of Couly Dutheil’s Les Chanteaux – great label too!